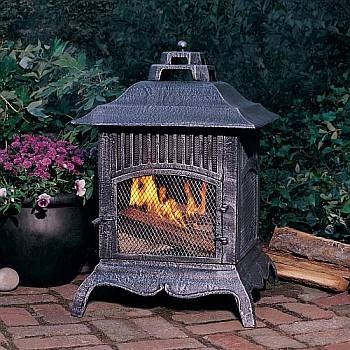 The Chiminea-Pagoda style is a unique outdoor fireplace by Arctic Products that doubles as a wood or charcoal grill. It is great for Backyard parties. Cook up some burgers and warm your bones on a cool night with a Chiminea-Pagoda style. It's attractive, easy to clean and simple to use and extinguish. High quality components make the Chiminea-Pagoda style impervious to the elements. 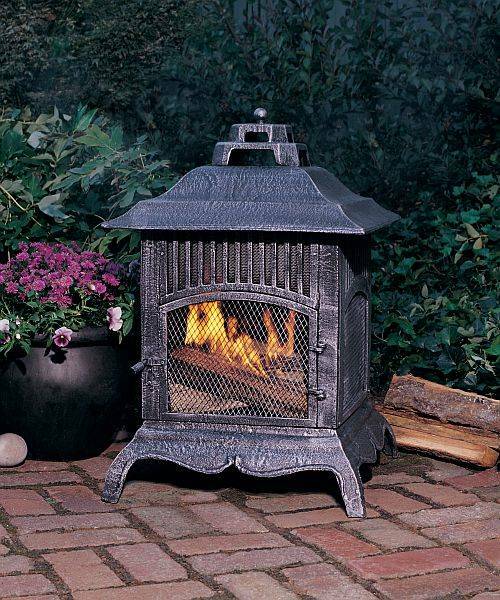 The Chiminea-Pagoda style will burn wood, charcoal, or pressed wood logs. Constructed of heavy duty cast iron. Crack resistant and usable year-round. 360� view of the fire. Compact size makes it perfect for smaller areas. Comes with a cooking grid for grilling. 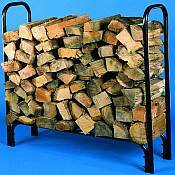 May be used with artificial logs. Requires no sand or gravel. Available in four decorative colors.